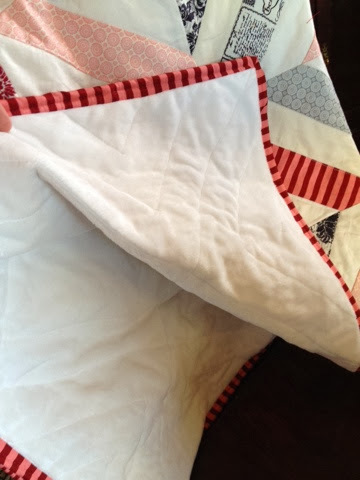 My 2nd finish of 2014 from the UFO pile is a quilt that I sewed +Riley Blake fabric fest this fall. 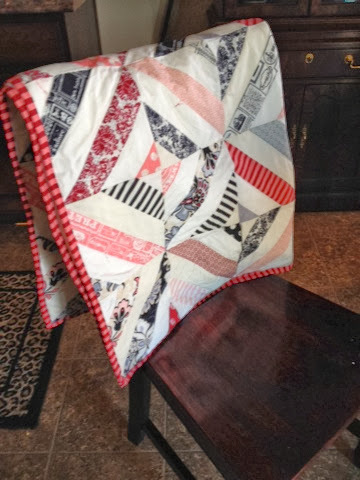 I finally quilted and bound it. I love how it turned out and so does my almost 2 year old little girl. 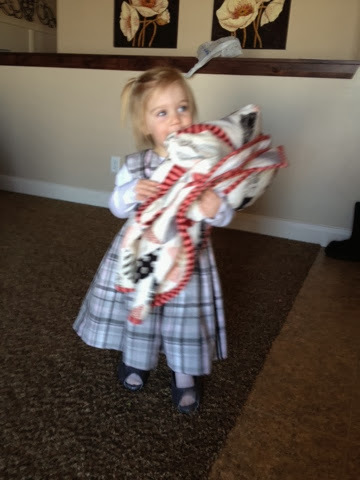 She has barely let it out of her sight since she ripped it from my hands when I finished it.